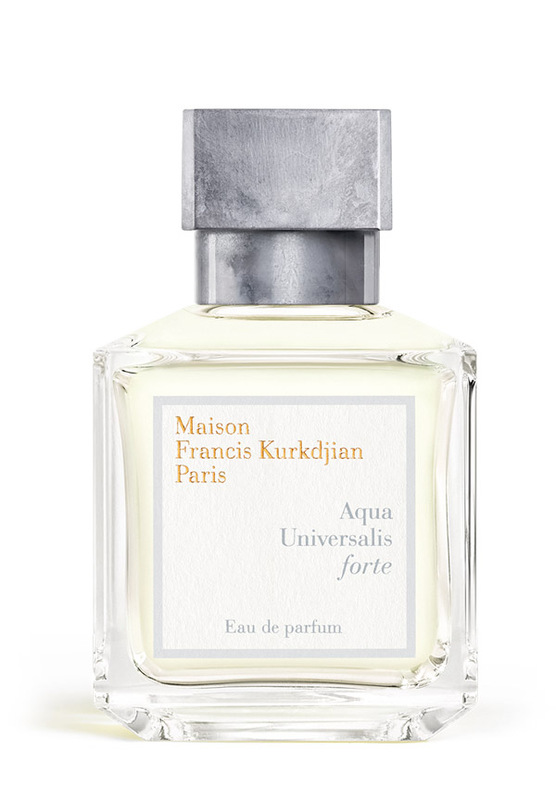 There are 18 reviews of Aqua Universalis Forte. There was nothing masculine or even unisex about this fragrance. It seemed so straight-up feminine that I tried to butch it up by layering it with another fragrance. I am a beginner trying new men's fragrances so I can build my personal selection, but this one was just too effeminate. Gave it a few samples and a full wearing. White floral perfume. Clean white musk. A bit of aromatic somethingness which I have no idea what it comes from. During sampling it seemed staunchly feminine. During the full wearing it felt unisex, like CK One. It's pretty, but doesn't stand out. Wife was not impressed. Longevity and sillage were above average. This is a really unique fresh fragrance with a strong and natural accord of lily of the valley being the dominant note in its opening, along with hints of lemon and bergamot. Due to the muguet note, it could be construed as slightly feminine but I enjoy it as a male nonetheless. As it dries down it goes stronger muguet and without any green or aquatic notes to balance it out, so it ends up smelling kind of sour. Projection is moderate but on the strong side, while longevity is fairly good. Not a huge fan of the scent to be honest. MFK is a house I really like, having sampled then purchased Lumiere and Pluriel, Universalis however I'm going to pass on. Not that it's a bad fragrance, it's just too much of white flowers and rose for my nose and gives me a sound headache. To me, there's very little citrus going on in this one, and the base is decidedly more musk than wood. Thirty minutes in and it's a feminine bath powder. Not my style. Neutral. A well composed citrus floral fragrance. The white musk and woods give this a bit of a heft making it stand out in the world of citruses. There is some sweetness here and the whole composition is smooth. This fragrance envelopes you and gives a nice clean feeling. It is different than most others and I think the soft muted florals are the reason. Makes it very different than fresh out of laundry smell and more like 'just taken a bath in a waterfall in middle of flower field'. This is a floral fragrance in a concentrated eau de cologne style that comes across as more musky than woody in the dry down. Any citrus note is hard to spot as right off the start one perceives a wall of white flowers with jasmine being discernible. Initially it's a bit screechy, but is more rounded after about thirty minutes as it settles on the skin. Thereafter the rose becomes a bit more perceptible. The floral accord continues till the musks with hint of sheer woods creep in. Still, even in the far dry down - the floral accord is prominent, with the addition of the musky facet. Overall this is on par, summery, and respectable. However, it is also quite monotonous, lacking in nuances, dull, and somewhat derivative. On the wrong day, the white floral - musk accord here can come across as jarring. Sillage is good initially and thereafter discreet but persistent, and excellent duration on skin. There are no member images of Aqua Universalis Forte yet. Why not be the first?